The kids may be stuck at the “kid’s table” for the Thanksgiving dinner, but that doesn’t mean the kid’s table has to be boring! 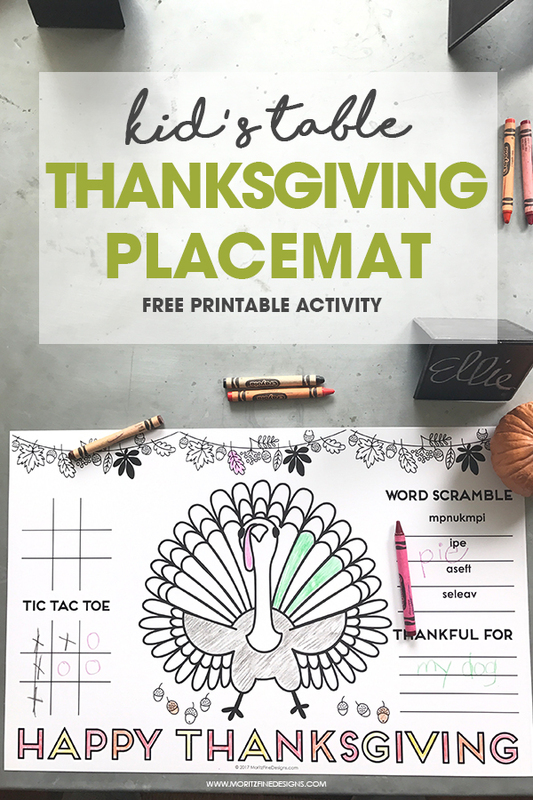 With the free printable Thanksgiving Placemat for Kids you can add a little fun for the kids to the dinner table. It’s super simple to do and it will make the kids table look adorable! First download the placemat from the bottom of this post. Next you will need to print on to a heavy weight 11″x17″ paper or card stock. If your printer is a wide format printer, you can easily print this at home. Chances are you do not have the wide format printer–and that’s ok. The easiest solution is to print at your local office supply store (Staples, Office Depot, etc). I printed mine at the local UPS store. All stores have the capability to upload the file online and then pick up a few hours later. It doesn’t get easier than that! To print on super heavy card stock, it cost me about $.60/print. Next, place a placemat at each spot on the table. You can add some cute decor too! 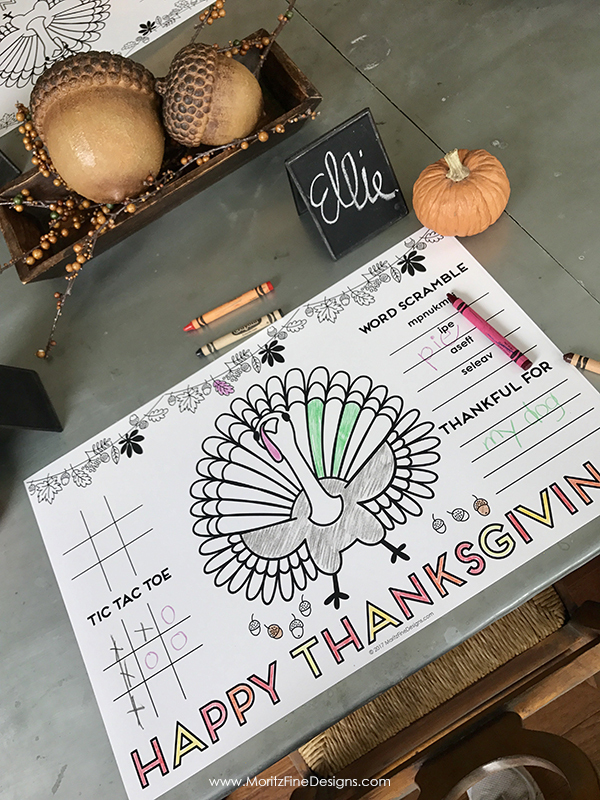 Try some mini pumpkins, add cute thanksgiving paper straws, and maybe even a Thanksgiving themed treat at each spot and the kids will go nuts! 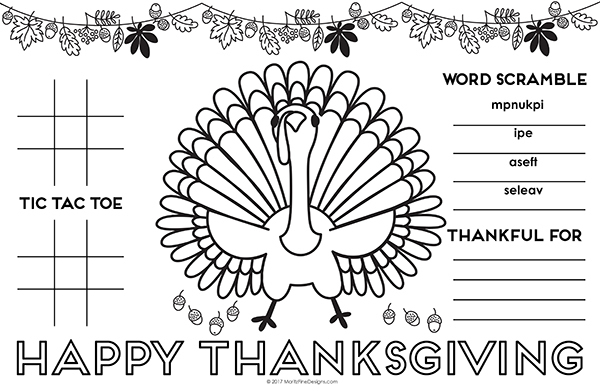 Don’t forget to place something to color with at the table. A bucket of crayons, colored pencils or markers (washable markers are a great idea!) will be just what the kids need. You can alway give the kids a fun after dinner activity too! Use the free printable Fall Scavenger Hunt for a little friendly competition!